I recently went to a wine tasting, and the sommelier said something that stuck in my head: Just because a wine is expensive doesn’t mean that you will necessarily like it best. Wines that costs less than $20 a bottle might appeal to you just as much—or more—than the pricey ones do. That’s great news to hear as you make frugal Valentine’s Day plans because it means that you’ll be able to treat your honey to a gift, a meal, and a quality bottle of wine—all while staying comfortably within your holiday budget. Look out for these cheap wines for Valentine’s Day that taste expensive. If your Valentine’s Day meal features oysters for their aphrodisiac properties, add the 2011 Lapostolle Casa Sauvignon Blanc to the menu. Real Simple says that the fruity notes of pineapple and peach in this wine go perfectly with oysters. This dry white wine comes from the Rapel Valley region of Chile. Valentine’s Day falls in the middle of the work week this year. Fortune recommends that wines enjoyed midweek should fall in the range of 12 to 14% alcohol content. If you get up to 15% or higher, you run the risk of not being in good shape for the office the next day. At 13.5%, the Masseria Li Veli 2013 Passamante Negroamaro Salice Salentino DOC falls nicely within the acceptable midweek range. Fortune recommends pairing this red wine with Italian pasta dishes topped with red sauce. If you’re really feeling romantic, you could share one plate of noodles “Lady-and-the-Tramp” style. The notes of summer fruits contained in a bottle of 2015 Mulderbosch Stellenbosch Cabernet Sauvignon Rosé will inject your cold February with an air of summer loving. According to Food and Wine, this fruity rosé has just a hint of sweetness. Natalie MacLean advises serving it with pasta primavera or salmon steaks, either of which would make an elegant yet affordable Valentine’s Day dinner. Put a fancy spin on your Valentine’s Day celebration by starting your meal with a cheese course. Food.Mic recommends the 2015 Buitenvervachting Beyond Sauvignon Blanc for a cheese-and-wine pairing. Its citrusy notes go nicely with Brie cheese, which you can find in most grocery stores. A glass of a bubbly sparkling wine is a must for romantic celebrations. If you will be toasting to an anniversary or an engagement this Valentine’s Day, do so with Jaume Serra Cristalino Extra Dry Cava. First We Feast recommends this as a low-cost sparkling wine option. It’s a Spanish wine with notes of apple, pear, peach, and citrus. Don’t be turned off by the term “extra dry” in the name. First We Feast points out that this actually means that the wine has a bit of sweetness to it. According to VinePair, Ravenswood Vintners Blend Petite Sirah gives you plenty of power for a low price. thanks to mouth-appealing tannins and oak-aged vanilla. Their pick is to pair this wine with beef, so serve it with a classic Valentine’s Day steak dinner, complete with a green salad and baked potatoes. Wines from the lesser-known Lodi region of California are good ones to look for when you want incredible wines on a budget ,says Forbes StyleBlueprint’s pick for a good Lodi wine is the Haraszthy Family Cellars Old Vine Lodi Zinfandel. They recommend it as a picnic wine that goes nicely with smoked or grilled meats, so spread an indoor picnic with two glasses of this Zin, and you’ll be all set for an ultra-romantic Valentine’s Day date with your honey. 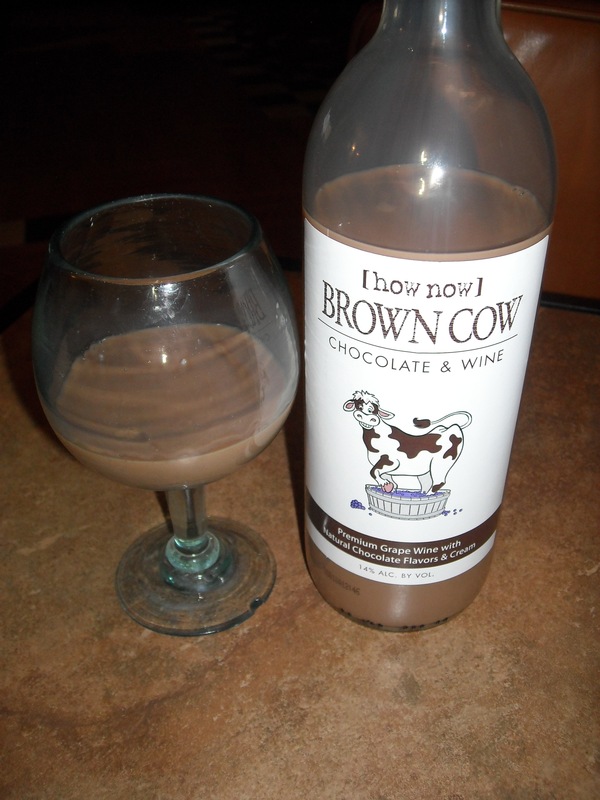 A box of chocolates is a traditional Valentine’s Day gift, but you can put a twist on that idea with a chocolate wine. Infused with the flavors of chocolate, these dessert wines are especially popular picks for the holiday of love. Heavy suggests trying Chocolate Shop Red to satisfy your cocoa cravings. This dessert wine is reminiscent of cherries and dark chocolate: a perfect Valentine’s Day flavor combination. A high price tag isn’t a requirement for scoring a great bottle of wine. If your budget is under $10, look for La Moneda Reserva’s Malbec at your local discount store. Despite the low price, this is an award-winning wine, proving that expense and quality do not necessarily go hand-in-hand. Its rich purple hue evokes notes of passion and romance that are just right for a Valentine’s Day drink for two. Have any of these budget wines caught your eye? I love having a go-to list of wines that bear cheap price tags but still taste luxurious. After you try one of these nine wines, comment below with your review. I’m always on the lookout for new favorites, so leave your low-cost wine recommendations in the comments too. How Much Do You Spend for Valentine's?